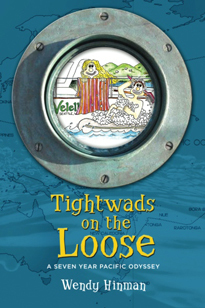 Wendy Hinman's 7-year and 34,000-mile sailing adventure aboard a 31-foot sailboat is the subject of her book Tightwads on the Loose (2012). The book tells the story of Wendy and her husband Garth Wilcox who are lured to sea by the promise of adventure. They buy a 31-foot boat that fits their budget better than it fits Garth’s large frame and set sail for an open-ended voyage, never imagining they’d be gone for years. 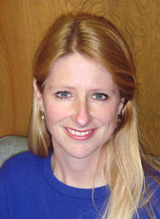 Getting by without most “necessities” and facing endless “character-building" challenges, Hinman and her husband learn that teamwork and a sense of humor matter more than anything else. San Francisco Book Review says of the book: “A light-hearted tone and unaffected style make this an entertaining tale.” Wendy Hinman has also published numerous articles about her travels. For more information go to http://wendyhinman.com/.